Borderlands are synonymous with desolation, but the Mexico-U.S. divide is something altogether different. The nearly 2,000-mile-long border traverses some of the continent's most biologically diverse regions, including forests, grasslands and salt marshes – home to more than 1,500 native animal and plant species, according to an analysis published in BioScience on July 24. 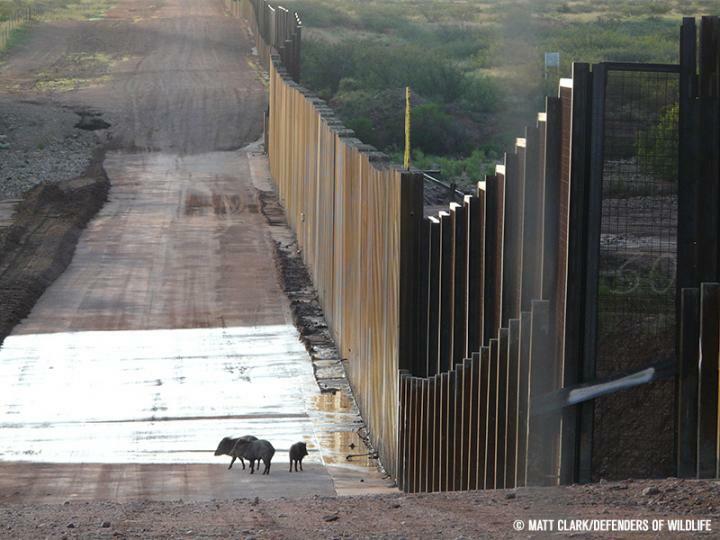 The paper, coauthored by Stanford biologists Paul Ehrlich and Rodolfo Dirzo, warns that some of these species face extinction within the U.S. if their movements are cut off by the continuous border wall President Trump has pledged to build. The potential for ecosystem damage was highlighted more than a decade ago, when the U.S. Congress passed the Real ID Act. The 2005 law gives the Department of Homeland Security (DHS) authority to waive any laws – including the Endangered Species Act and National Environmental Policy Act – that slow the wall's construction. The paper calls on scientists around the world to support solutions, such as requirements that DHS identify species, habitats and ecological resources at risk from barrier construction and security operations; design barriers for maximum wildlife permeability where possible; and purchase or restore replacement habitat when environmental harm is inevitable. Nearly 3,000 scientists have signed on to endorse the paper's message. Stanford Report spoke with Dirzo, a professor of biology and the Bing Professor in Environmental Science, and Ehrlich, a professor of biology (emeritus) and Bing Professor of Population Studies. Both are also senior fellows at the Stanford Woods Institute for the Environment. Dirzo: This area is an ecological theater where evolution has engendered a plethora of plays. A multitude of factors – climatic conditions, topography, geological history, soil types -converge to create an amazing mosaic of ecosystems. A constellation of Northern temperate and Southern tropical lifeforms and lineages coincide with endemic species, as in few areas of the globe. This means these borderlands are a global responsibility. Dirzo: Many species, such as bighorn sheep, are composed of populations of relatively few individuals per unit area and have large home ranges – hundreds of square miles in the bighorn's case. Shrinking that range will lead to local population loss or declines. Smaller population sizes suffer from reduced genetic variation, which reduces their capacity for adaptation. Barriers will impede the bighorn sheep's migrations and movements to track habitats that shift due to a changing climate. Cut off like this, the bighorn and other animals and plants will become zombie species – populations that are demographically and genetically doomed. Ehrlich: Aside from effects on water flows and other natural services, the wall could rob us of iconic creatures such as the endangered Peninsular Bighorn sheep and the Sonoran pronghorn antelope. The esthetic value of these magnificent animals, and their cultural meaning to nature lovers, hunters and native American groups, is attested to by great efforts already made to avoid their extinction. There's also an economic loss to consider – the U.S. Fish and Wildlife Service estimated that hunting, fishing and wildlife-watching contributed nearly $26 billion to border state economies in 2011.